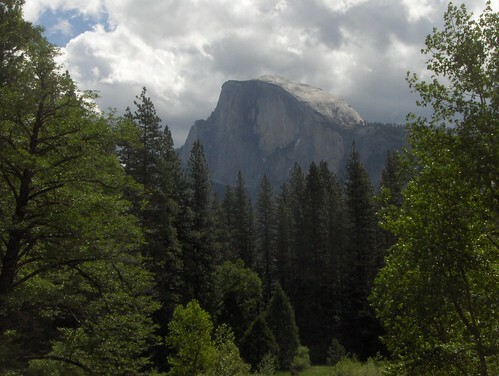 I left Carson City this morning and headed to Yosemite. 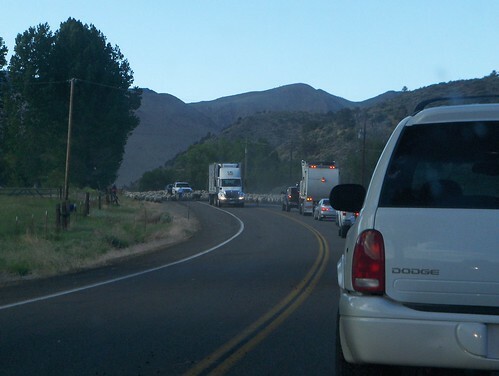 On the way there, I was delayed both by construction, and by sheep. Yes, sheep. 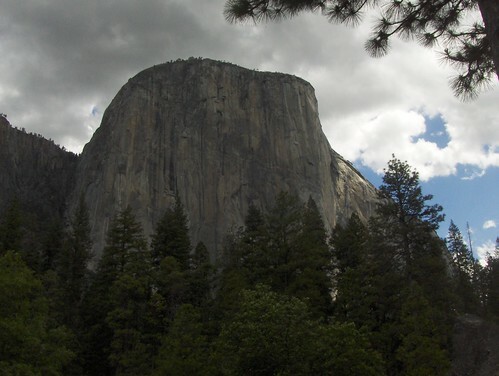 Contrary to popular depiction, Yosemite was not horribly crowded, and I managed to get the obligatory photographs of El Capitan and Halfdome. 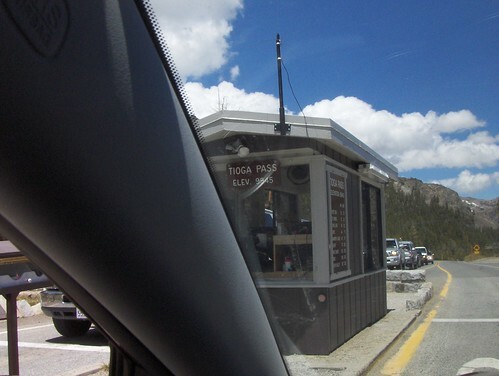 Tioga Pass Road is not for the acrophobic. Also, the fact that a road exists at 9,945 feet is amazing to me. 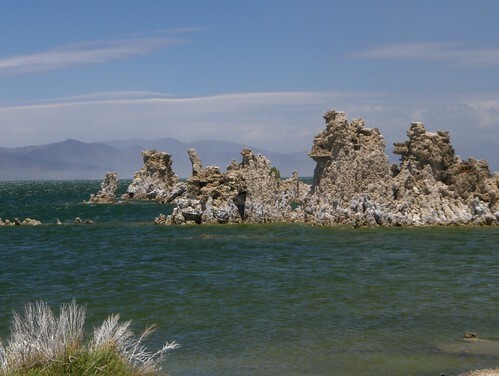 After Yosemite, and surviving the trip back out Tioga Pass, I stopped at Mono Lake. 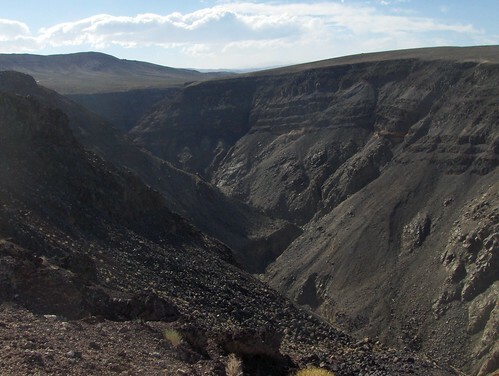 My original intention was to hike into Panum Crater, but the wind was blowing so horribly that I took a pass on that. Instead I just went to see the tufa. 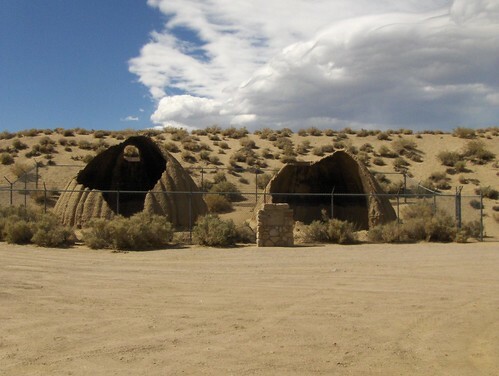 After Mono Lake, I drove past Owens Lake, where I stopped to see some charcoal kilns. Then it was on to Death Valley, where I stopped at Father Crowley Vista only to be treated to a fighter jet flyover! I’m guessing the jets were probably out of China Lake. They buzzed this ridiculous canyon. Sadly, I got no pictures of the jets. 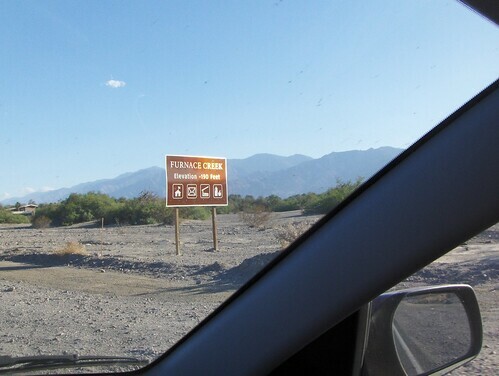 I then drove across Death Valley. Please note that I have been at 9,945 feet and -190 feet today. I think that may be partially to blame for my headache, although maybe not, as Taco Hell seems to have helped. After driving across Death Valley, I arrived in Pahrump. Please note that Pahrump is kind of a pit. That is all. Tomorrow is just puttering around Death Valley, so hopefully it will be a blissfully short day. I plan on sleeping in a bit. I’ll be back in Pahrump tomorrow night, so at least I don’t have to haul all my stuff back to the car.